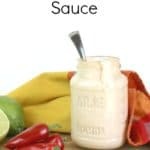 Looking for a great sauce to dress up your favorite foods? This Chipotle Lime Sauce is it. I’m not kidding when I say I’m obsessed with this sauce. This sauce goes great with your Mexican and Tex-Mex favorites. 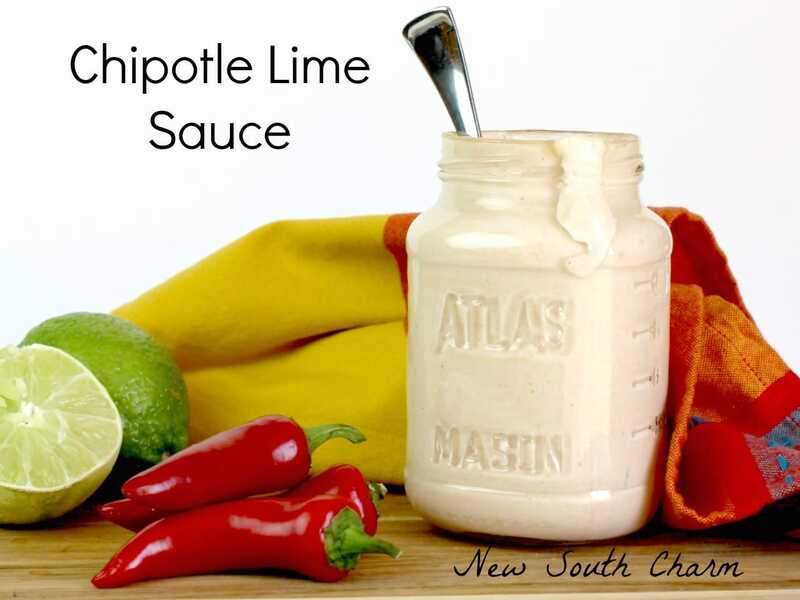 Chipotle Lime Sauce is the sauce you’ve been looking for and you didn’t even know it. 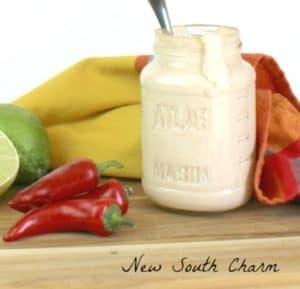 This is the perfect sauce for burritos, nachos, hamburgers, salads, and tacos.This sauce has a delicious combination of spicy Chipotle sauce, tart lime, and cool rich sour cream. With all those flavors coming together how can it not be great? Right? In a medium bowl whisk together chipotle sauce and sour cream until well combined. Next, add three finely minced cloves of garlic. Then, add the zest and juice of one lime. Salt to taste then mix together. To zest the lime I used a microplane. If you don’t have a microplane you can use your regular cheese grater. To use the grater peel the lime the against the smallest holes. Anothe method is to use a vegetable peeler to peel the lime and then finely dice the skin. Once you’ve put all the ingredients together serve immediately or keep in an air tight container in the refrigerator for up to three days. 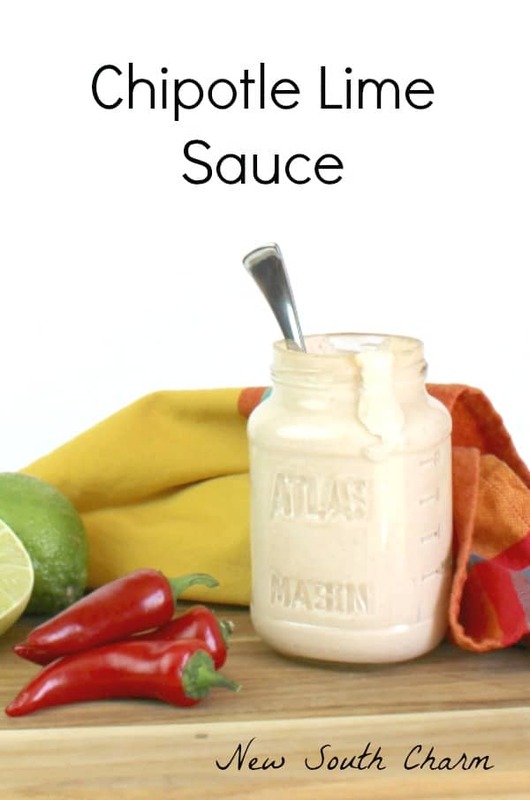 The first time I made this sauce it was part of a recipe for Chicken Burrito Bowls, I shared this recipe over at It’s a Keeper a blog I contribute to monthly. Chicken Burrito Bowls are a great dinner idea. They inexpensive to make and very filling. You’re not going to want to miss this recipe so hop over and check out my easy recipe for Chicken Burrito Bowls. 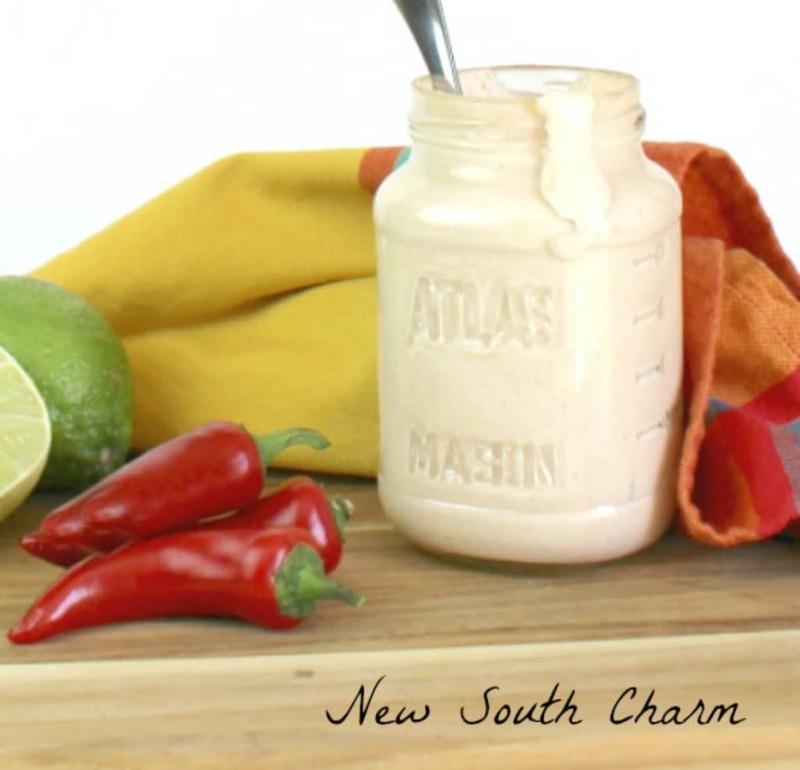 Looking for a great sauce to dress up your favorite foods? This Chipotle Lime Sauce is it. I'm not kidding when I say I'm obsessed with this sauce. This sauce goes great with your Mexican and Tex-Mex favorites. In a medium bowl combine sour cream and Chipotle sauce. The add in remaining ingredients and mix until well combined. Serve immediately or keep in an air tight container for up to three days. Is chipotle sauce the red sauce out of a can of chipotles in adobo? I buy it by the jar. At my local grocery store it’s located in the Mexican foods aisle. I hope you’ll love this recipe as much as we do! ЅaveԀ аs a favorite, I гeally like your website! Thanks Jimmy! I hope you’ll come back and visit soon.